Sandra De Leon, ’13 MA Counselor Education, guides SJSU students as they pursue career pathways in Silicon Valley and beyond. It took courage, commitment and focus on a bigger picture to take a stand for civil rights and to demand equal treatment. EOP at San Jose State originated alongside the Olympic Project for Human Rights and the growing Chicano movement. Through all of the changes she has witnessed over the past 50 years, Noel’s core belief in the power of education remains intact. Speech pathologist Pamela Wiley, ’72 Communication Studies, created the Spectrum Shield training program to pair law enforcement with young men with autism. Paul Thiebaut III, ’09 Economics, is the founder of 10 Books a Home (10BH), a nonprofit tutoring service for nearly 200 low-income families in the Ravenswood City School District. Three Spartans who are part of the Paralympic movement, promoting its values of enabling and empowering athletes while challenging stereotypes and transforming attitudes about athletes with impairments. In CNBC’s weekly “Fortt Knox” podcast, anchor Jon Fortt interviews extraordinary people with the goal of giving listeners “tips and inspiration to do what you do that much better.” The Job Maestro is excited to share some excerpts from Fortt’s tip-tastic podcast with Intel CEO Brian Krzanich, ’82 Chemistry. San Jose State history lecturers Laura Guardino, ’03 MA Social Science, Robert Cirivilleri, ’86 BS, ’00 MA, Social Science, and Katherine Chilton challenge students to examine American history through a multicultural lens in History 15A: The Essentials of U.S. History. Felicia McKee’s VIP: Michael Randle. Nominate your VIP! Muhammed Chaudhry’s efforts to prepare young people in Silicon Valley for college and careers are transforming public education. This year’s commencement speaker: Nancy Pelosi, Democratic leader of the House of Representatives in the 114th Congress and congresswoman, California’s 12th District. A new course prepares students to go to work for a cause. A few words from distinguished campus members and visitors. 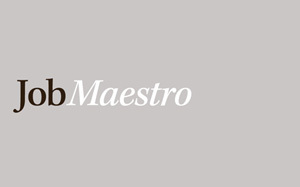 Job Maestro: Volunteer and Connect! The co-director of San Jose State’s Center for Community Learning and Leadership explains how volunteering and service-learning can enhance your career. Washington Square: The Stories of San Jose State University © 2019. All Rights Reserved.